WANNA GO TO PEACE CAMP? 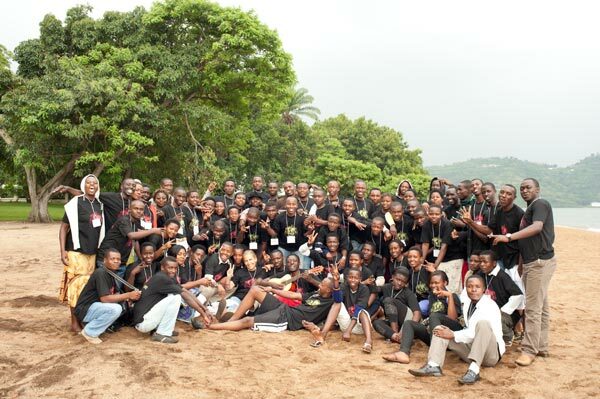 Are you a youth between the ages of 16-25 living in the Great Lakes Region of Africa? Limited scholarships are available. Contact us today! So, What Do We Do at Peace Camp? We believe that at the heart of all learning is experience. Peace Camp is designed accordingly. Learning takes place in small groups and through interactive methods such as role play and mapping, games, sports, art, dance, song and drama, to encourage creative expression, critical thinking and dialogue. 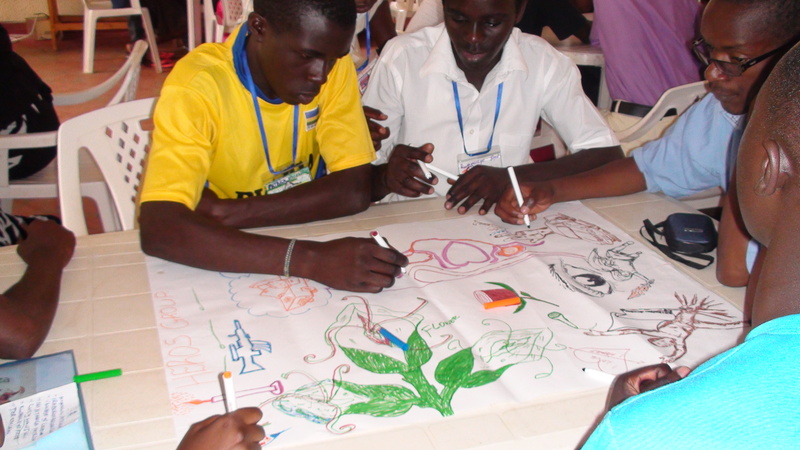 Camp participants receive fun, hands-on skills training in: conflict transformation and peer mediation; media and communications; art therapy; mental health and trauma counselling; and social entrepreneurship. Peace starts within! Each day we have times of reflection, to nurture inner peace and spiritual development, a crucial aspect to sustainable peacebuilding! Youth keep journals, draw, and create skits, songs and dances to share thoughts and feelings. Our 9th annual camp hosted teams of youth from DR Congo, Rwanda, Tanzania and Uganda as well as a youth team from Canada (FBC Toronto). The water balloon toss, as part of our Peace Olympics, was a new and popular activity! 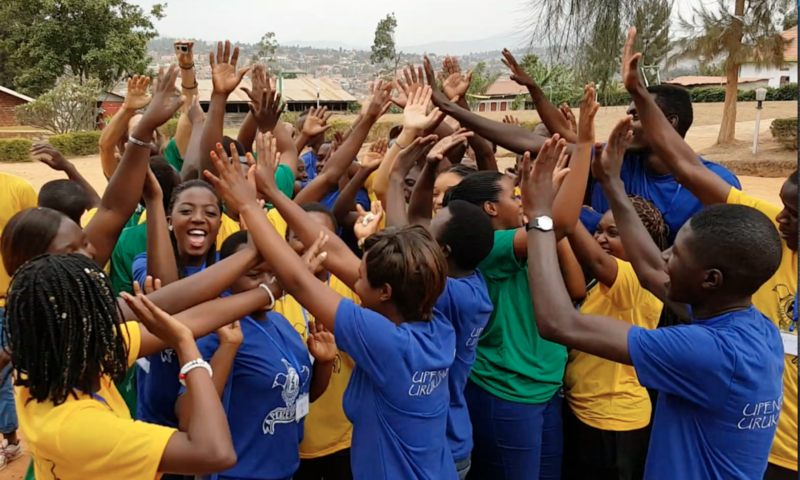 In August 2017, we held our 8th annual peace camp with youth participants from around the Great Lakes Region – Burundi, Democratic Republic of Congo, Rwanda, Tanzania and Uganda; as well as a team of volunteers from Canada and the USA. A walk to Lake Kivu for an afternoon of fun at the beach and a new marshmallow engineering challenge as part of introduction to social enterprise were just some of the highlights at our 7th annual peace camp! It’s just a good feel! Rev Wendell Gibbs, Joseph Cain, Alex Brooks and Shanice Brooks, departs Toronto today (Friday July 25) to participate in the Peace of Live Youth Camp in Kigali. We will join with our missionary and founder, Laurena Zondo. We are excited and look forward to the wonderful and blessed exchange of ministry and plans God have for the team and camp. I pray all our lives will not be the same, but will be conformed in a greater way of love, compassion and service, unto of Lord and Savior, Jesus Christ.